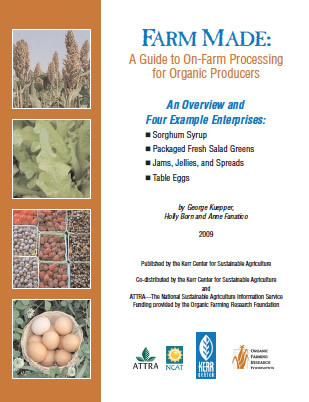 This report provides an overview of the general requirements for organic certification and for food processing facilities, followed by a discussion of four different on-­farm enterprises, including table eggs. This report defines and describes heirloom vegetable varieties and discusses their implications. This summary of sweet potato work at the Kerr Center from 2010-2013 contains a guide and links to more detailed publications resulting from that work.